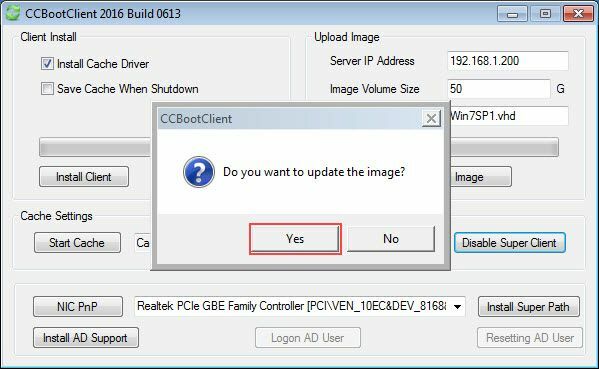 Since version 20160405 we have added options to enable/disable from CCBoot Client application to make it easy to update images or games from client and not have to visit server every time. 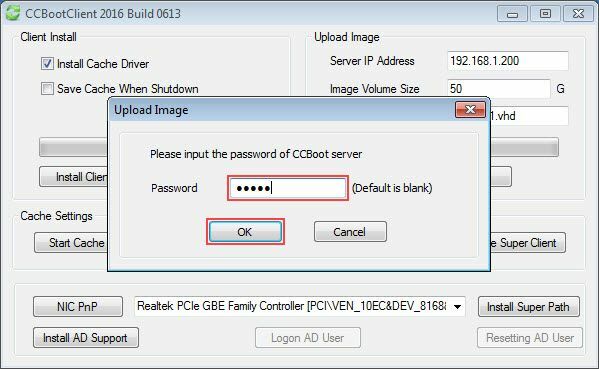 Note: If the client fails to boot when you set the client superclient mode, then change the pxe option for client from gpxe.pxe to gpxex.pxe and then boot. Client will boot normally in superclient mode. 1. 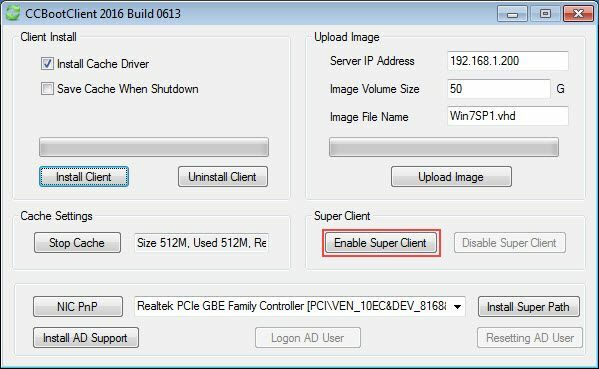 Open “CCBoot Client” application on the client PC and click the “Enable Super Client” button (as shown in Figure 1). 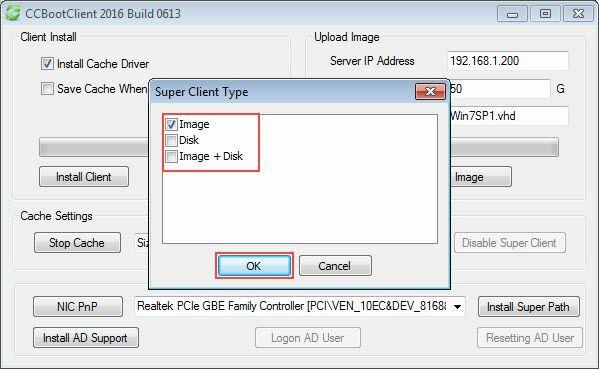 Note: There you can choose between three type “image”, “Disk”, and “Image + Disk”. 3. Another pop up will open asking you to enter “Password”, password for this is the “Admin Password” set in the General Options, enter the password and click “OK” to continue (Figure 3). 4. 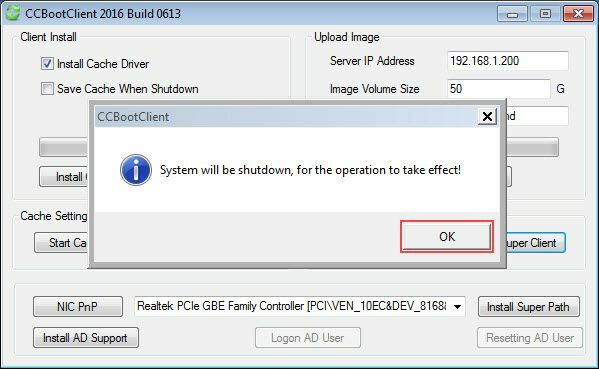 After that it will ask you to restart the client PC to enable super client, click “OK” to reboot you client PC (Figure 4). 5. Now, once the client has booted, make you changes, add programs, or update the Windows and once done, Open the “CCBoot Client” application and click “Disable Super Client” option (see Figure 5). 6. A popup will open asking you to enter “Password”, enter the password and click “OK”(Figure 6). 7. Now, a pop up will open and ask you if you want to update the image or not. Click “Yes” to save the changes made to the image and “No” to cancel saving (Figure 7). 9. 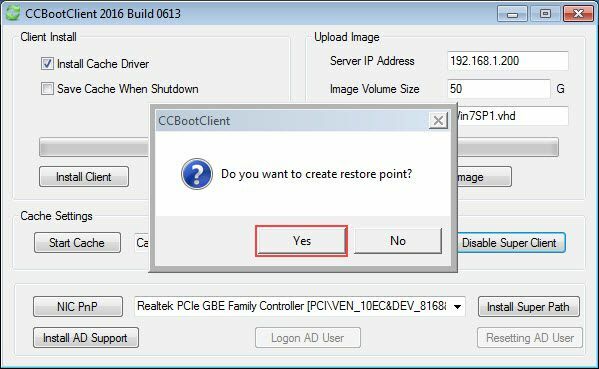 After clicking “Yes” a final prompt will ask you to shut down the client PC to save the image and disable super client. 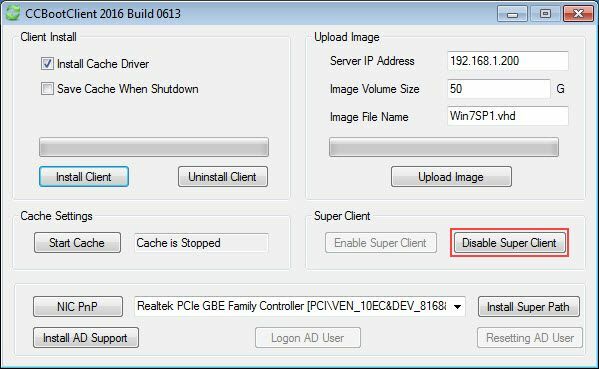 Click “Yes” to shut down the client (Figure 9).